ABBYY PDF Transformer 3.0 is the ideal solution for anyone working with PDF files. This intuitive, versatile, multilingual tool enables you to easily convert PDF file of any type into editable and searchable formats with the original layout and formatting retained. In seconds, you can create a PDF file directly from Microsoft Office applications, combine multiple MS Office documents into one PDF, or modify PDF files according to your needs — redact sensitive information, add stamps and bates stamps, protect your PDF-file, or convert into PDF/A format for long-term archiving. 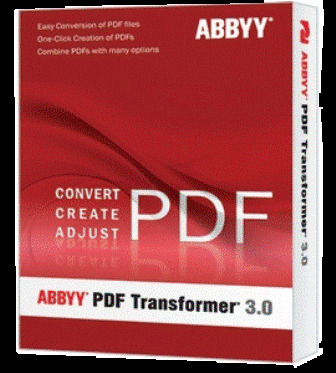 ABBYY PDF Transformer 3.0 delivers a wide range of useful functions allowing you to easily convert PDF files to editable and searchable formats, create searchable PDF and PDF/A documents, merge different files into one document, append new files, protect your PDF documents and optimize them for archiving. 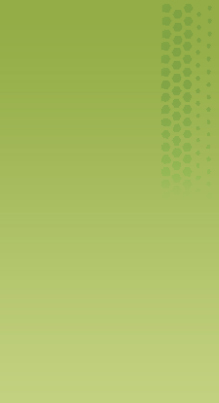 Operating System: Microsoft® Windows® XP/Vista/7/8, Microsoft Windows Server® 2003/2008/2008 R2. To work with localized interfaces, corresponding language support is required. Note: You must have the corresponding Microsoft Office application installed on your computer to be able to work with Microsoft Word, Microsoft Excel, Microsoft PowerPoint, and Microsoft Visio files. Note: In Windows 7x64 integration with MS Explorer is not supported.